The Parliament in Barcelona today declared the independence of Catalunya! First, there is a lot of celebration all over Catalunya. People gathering in the streets in Barcelona, Lleida, Girona, Granollers! Lots of talking on the internet, the TV and the Radio. 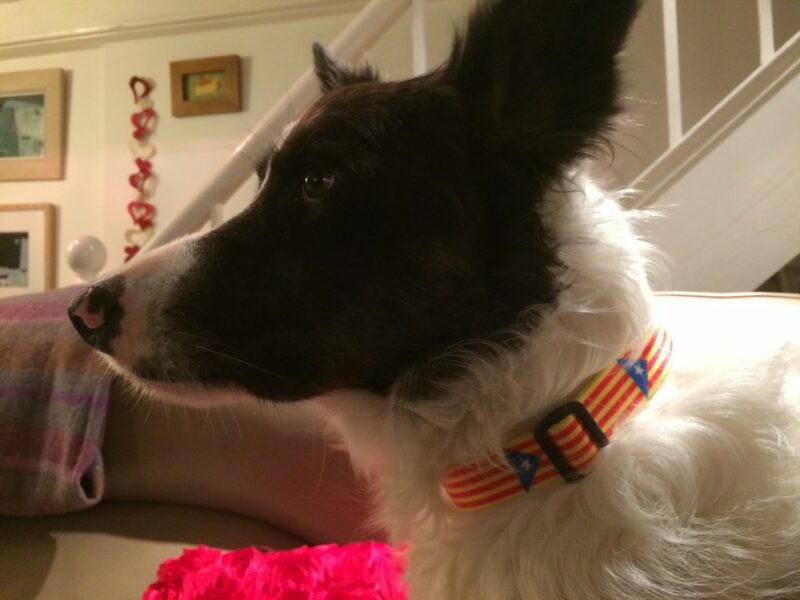 The mayoress of Barcelona isn’t too happy – she didn’t want Article 155 nor UDI. But she hasn’t really explained how change would happen in her plan. More talking perhaps? Talking to those who refuse to talk back. There is a lot of emotion – both from people who are celebrating and from those who are unhappy. The government in Madrid has also approved the application of Article 155 to take over the government and practically everything else in Catalunya. I feel proud of Scotland but I would like a full recognition not a politician’s careful response. I feel a great mixture of excitement and worry. I really can’t understand why people are so against Catalunya being a free country. Obviously Spain wants their money but apart from that – won’t life in Madrid, Seville, Malaga etc carry on the same? Won’t the daily life still be as it was yesterday? For normal Spanish people it isn’t really going to affect their everyday lives. Obviously there are lots of things to sort out but why not try a new way? If Scotland had voted for independence would my life here in Cornwall be much different? If in some weird alternative world Cornwall became an independent Republic wouldn’t I still be Scottish? My life would remain fairly similar apart from any changes the new Cornish government might want to make. I think the negative response is from elites who are horrified by the idea of people actually chosing their own destiny. Money, power, control….. Anyway, for now, Catalunya is a new country and I welcome it and wish all its people well. We had a celebration lunch in Mousehole and Zero wore his republican collar – bought especially for this day! < Previous Will he declare Independence or not? In reading your posts the one thing that comes to mind is this sounds exactly like the upheaval in politics we are experiencing. You may have heard that Russia interfered in our election…Lordy who hasn’t heard that. However I heard a report that they were also behind the discontent and revving up the anger in Catalunya as well. I don’t know if you’ve heard that as well but from the mayors account it sounds very, very familiar to me.